Our fitness holidays focus on health and wellness through physical exercise and fun challenges to kick-start your metabolism. Inactive lifestyles can cause health problems, especially as we age so by challenging yourself and having fun at the same time whether it’s hiking in the great outdoors or tennis, beach boxing or Zumba, can boost your circulation, strength and stamina, helping to banish stress. 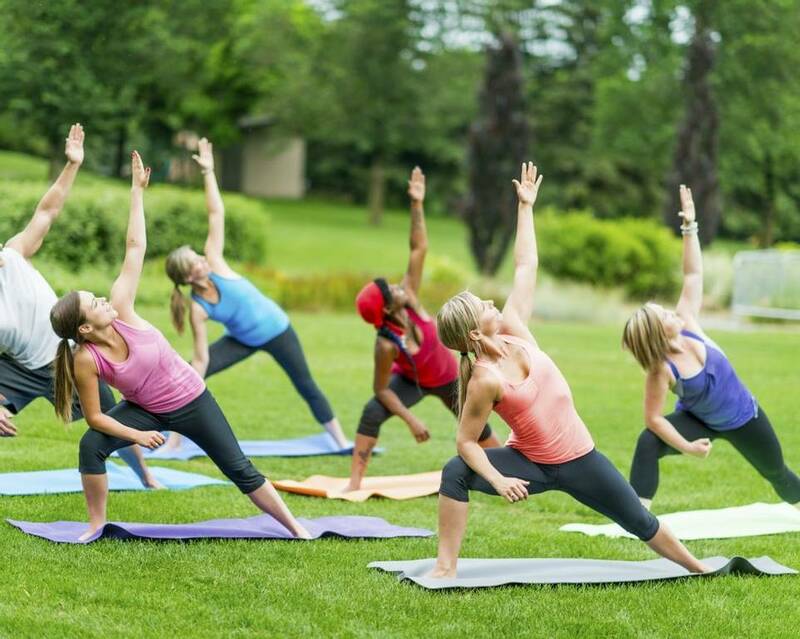 From active to adventure holidays such as boot camps to bespoke holistic fitness programmes which can consist of anything from exercise classes, outdoor sports to a dance or Pilates lesson, find a fitness holiday to suit you. Our fitness holidays focus on health and wellness through physical exercise and fun challenges to kick-start your metabolism. From active and adventure holidays such as boot camps to bespoke holistic fitness programmes, find a fitness holiday to suit you. Get the most out of your time off and improve your fitness on one of our healthy luxury retreats. These retreats are held at various times throughout the year in idyllic locations ranging from Ibiza to St. Lucia, so it is easy to find one that suits your schedule and climate preferences. Fusion Fitness™ offers you the flexibility to choose your favourite health and fitness activities to suit your goals and interests, and combine them to create the perfect programme. Leading health and fitness experts will guide you through a fun and rewarding fitness programme. If you need help getting into shape, a weight loss holiday may be just what you need to kick-start your new way of life. Our luxury holidays are designed to help you find and achieve your ideal weight and teach you how to maintain it. Get the most out of your time off and improve your fitness on one of our group retreats. These retreats are held at various times throughout the year in idyllic locations ranging from Ibiza to St. Lucia, so it is easy to find one that suits your schedule and climate preferences. Fusion Fitness™ offers you the flexibility to choose your favourite health and fitness activities to suit your goals and interests, and combine them to create the perfect programme. Leading health and fitness experts will guide you through the fitness programme. Our handpicked bootcamp holidays are perfect for kick-starting weight loss and improving cardiovascular health. With healthy programmes between 3 and 7 days in locations ranging from the UK to the Caribbean, we can help spur you on to achieve all your fitness goals. Our active adventure holidays are based on the conviction that your time off can be just as exciting as it is relaxing. With everything from mountain biking to paragliding on offer, these stimulating trips are a thrilling way to broaden your horizons. Meet new friends as you bond over an exhilarating group class on a singles fitness holiday. Focus on your fitness goals with a personal training session or join in with social group events like hiking or Zumba. If you are torn between keeping active and having a relaxing spa break, why not combine both on one of our luxury Sport & Spa holidays? All of our resorts offer world-class spas alongside incredible sporting facilities. Experience a wide variety of sports holidays, including everything from football to cycling, on one of our tailor-made fitness holidays. At our recommended luxury resorts, you can create a sporty holiday that suits your personal tastes anywhere from the Caribbean to Spain. Whether you’re a fitness fanatic, yoga guru or in need of a body overhaul, our exclusive 3 night BodyBreaks™ in Europe will give you a burst of energy and help you get body beautiful. Give your body the break it deserves so you return home stronger, happier and healthier.